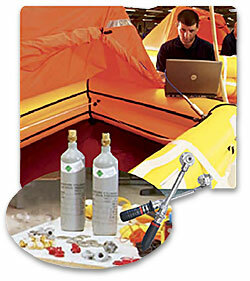 Avalon Rafts is an authorized Plastimo Liferaft Sales & Service Station. 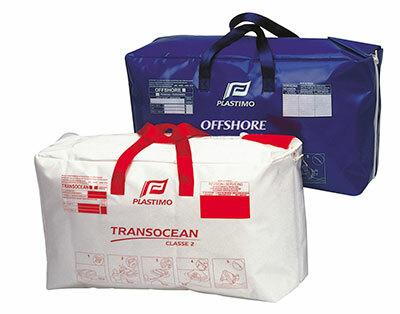 Plastimo is one of the premier names in liferafts and marine safety equipment. 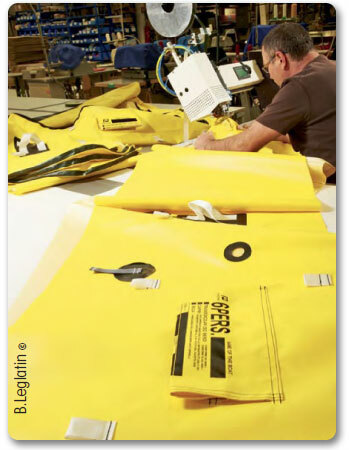 Plastimo, has been the Specialist of Safety Equipment for 50 years. Avalon Rafts is proud to be the authorized liferaft and safety equipment sales and service station for this area. We can maintain or service your Plastimo liferaft to meet all requirements to be ready for deployment should an emergency arise. 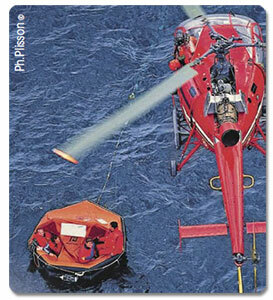 Please review are information, then call to talk with one of our liferaft service specialists. 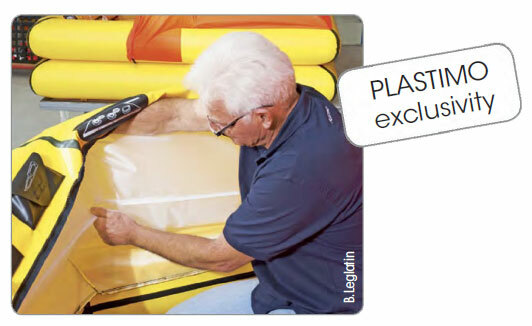 Click here for Plastimo Liferaft Models and Accessories. Recent article featuring Plastimo liferafts: Where should you stow your liferaft? 1. By coming to Plastimo, the Specialist of Safety Equipment for over 50 years, you are sure to make the right choice. 2. 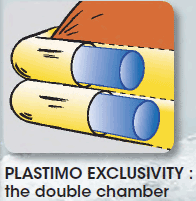 Only Plastimo liferafts feature a double chamber construction. The “tube-within-a-tube” construction, very much like a tire construction, consists of a polyurethane inner chamber, within a PVC coated polyester outer shell. The very best features of every material; offering extreme resistance outside and perfect airtightness inside. Reduce the cost of servicing; the outer shell is closed by a heavy duty nylon zipper, which allows for easy access should the inner chamber need to be removed for repair. Repairs can be made more easily at sea, especially if damage is situated under the water line. 3. You will feel safe. Our liferafts “hold fast” to the sea. For additional safety, our liferafts are equipped with large deep ballast pockets to improve the stability of the liferaft and prevent drifting. 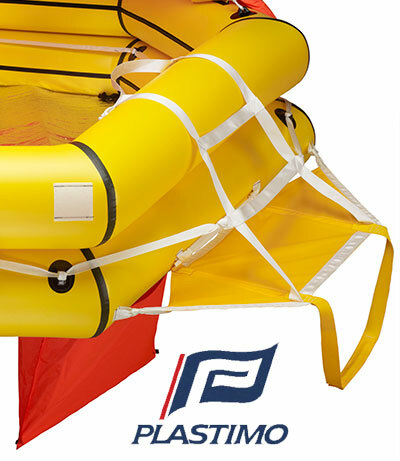 Plastimo ballast pockets feature a very large opening to facilitate the quick loading of water as soon as the liferaft is thrown to sea. Ballast pockets are ideally located on the outer ring of the liferaft for increased stability. 4. You won’t lose the survival equipment. In all Plastimo liferafts, the survival equipment is packed in a watertight pouch that is secured inside the raft; whatever the conditions, the equipment will always be close at hand, and also visible through the transparent pouch. 6. We run our factory under ISO 9001 standard. 7. Plastimo is so confident of their technological skills that they offer you the possibility to service your liferaft only every 3 years*, i.e. 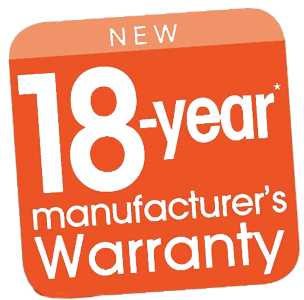 3 servicing sessions over the 12-year warranty period. This is another Plastimo innovation, with direct consequence on your liferaft budget. *For boats sailing in Europe, and subject to your national regulation. 8. Should your liferaft save your life this year as a consequence of shipwreck, we will service your raft free of charge or, if necessary, replace it free of charge. We are anxious to know you: learning from your own experience enables us to keep innovating and remain The Safety Specialist. 9. Whatever your navigation program, you will find a station to service your liferaft, anywhere in the world. We have been exporting liferafts worldwide for over 40 years. This unique experience gives you the assurance that our network of technical partners is perfectly tested and trained to service your liferaft. Wherever you are, you will find competent technicians to assist you. 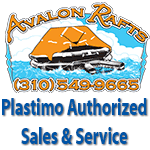 Avalon Rafts is a Plastimo authorized service station. 10. In case you might need a 10th reason, what about trusting The French manufacturer who has been SPECIALIST OF SAFETY AT SEA FOR 50 YEARS? Every liferaft unit that Plastimo launches on the market comes out of our Lorient-France factory. 50 years of liferaft manufacturing and servicing give our engineers and technicians a unique experience and feedback for you and your crew to rely on. 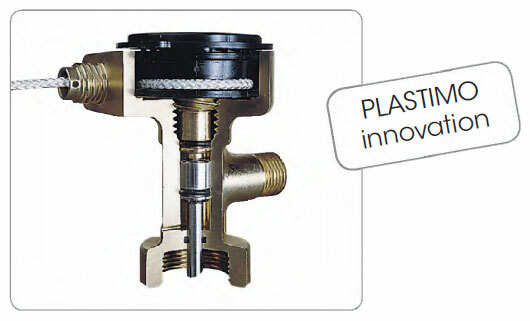 Plastimo is the only manufacturer who offers the double chamber construction. Sealed protective envelope invented by Plastimo protects the folded liferaft. Double action firing head, a Plastimo exclusive requires minimum pulling. ISO 9650 is the international standard implemented in March 2005, to set up formal specifications on liferafts for use on board recreational boats. This standard clearly states the performance level and technical specifications of the liferaft and materials used in its construction. It applies to all recreational boats under 24 metres (78 ft). However, this standard is not compulsory yet in all countries. 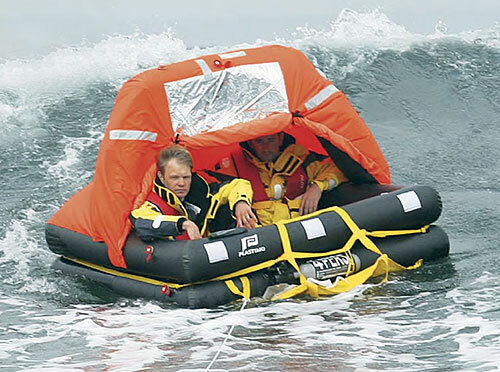 Liferafts designed for long voyages or cruises when gusts of wind can be expected, together with exceptional wave height (excluding abnormal conditions such as hurricanes). · Group A : liferafts designed to inflate in an environment temperature of -15°C to +65°C ; they feature an insulating double floor. · Group B : liferafts designed to inflate in an environment temperature of 0°C to +65°C ; they feature a single floor. Emergency kit : rescue forces expected after 24 hours. Standard kit : rescue forces expected within 24 hours. Liferafts designed for sailing in areas where moderate conditions are expected, such as coastal waters, bays, estuaries, rivers and lakes. 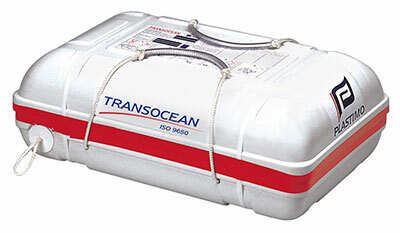 ISO 9650-2 liferafts are designed to inflate in an environment temperature of 0°C to +65°C and they feature a single floor. They come with a standard survival kit. Plastimo has developed a reversible ladder and grab handle to ease embarking. This system allows the victim to hoist himself up on the ladder and then topple easily into the Liferaft. 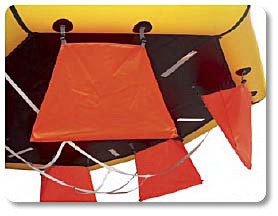 Should the Liferaft inflate upside down, the boarding ladder simply reverts, to allow the victim to pull himself on the capsized Liferaft and thus making it easier to turn over the raft in its natural position. On ISAF models, this ladder system is combined with a boarding ramp. In a canister or in a valise? its rigidity does not allow you to use it as a stool or a seat ! Take good care of it : instead of thinking of it as a big clumsy box, do remember that this box contains concentrated technology which could save your life at any time. The valise is manufactured from highly resistant coated fabric, impervious to UV-rays. 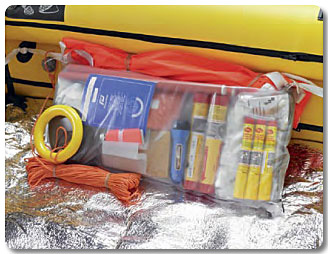 A valise-packed liferaft requires some relative protection : you will select its location on the boat accordingly, i.e. avoid the skirt for example. Indicated dimensions of liferafts in valises may vary by ± 10 %, due to the lack of rigidity of the valise. Be nice to your liferaft -think of how precious it could turn to be-, especially if it is packed in a valise : do not drag it, do not tread or sit on it. 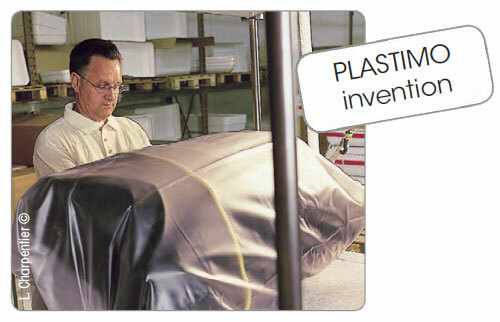 For more information on choosing a Plastimo Liferaft please visit our product page.